Considering the specification, price and the features of the Nokia XL Andriod phone, one could hardly imagine using the first ever product of Nokia without rooting the smartphone. Like all other Andriod devices, rooting could have a similar pattern in most Andriod devices. While some persons may want to root there Nokia andriod phone without a Pc, others may feel the need for a Pc for the rooting procedure. The truth is that you can enjoy the peak of your phone's functionality after rooting, because at that time, you would be at leverage to install or run any application on the device without being restricted. Though gamers would have a major challenge enjoying the full functionality of the Nokia Andriod phone, due to the low Ram size, users whose utmost purpose of patronizing the Nokia Xl is for social networking and other Instant messaging platform would see the mobile as a good alternative. -- Once rooted, you will be able to run many applications that has been restricted by the phone manufacturer. -- Alot of functions can be executed on the phone. Now the main purpose of rooting your Nokia andriod device is to enjoy the full functionalities and run any application of your choice without having any issues of installation. Disclamer: This trick has been tested and confirmed working and as such, i should not be blamed for any form of damages induced by you on the phone. 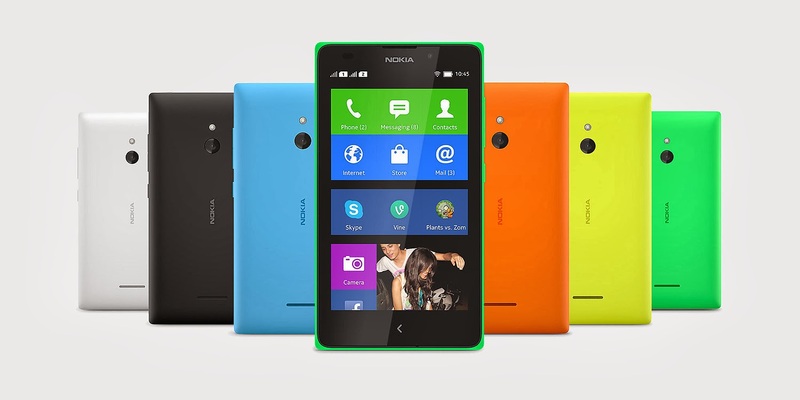 For you to root your Nokia andriod phone, you will need to download framaroot. -- Install the apk file on the device you wish to root. -- Upon successful installation, open the application and select "Gandalf exploit"
-- Restart your mobile device. -- Your device should be full rooted if you have followed this simple solutions. Are you still looking for a cool gadget that fits your status? then you should be thinking of going for the Samsung Galaxy S5 or HTC One M8. Your comments will me improve on the quality of this post. Keep it coming and do not forget to leave it as clean as possible.